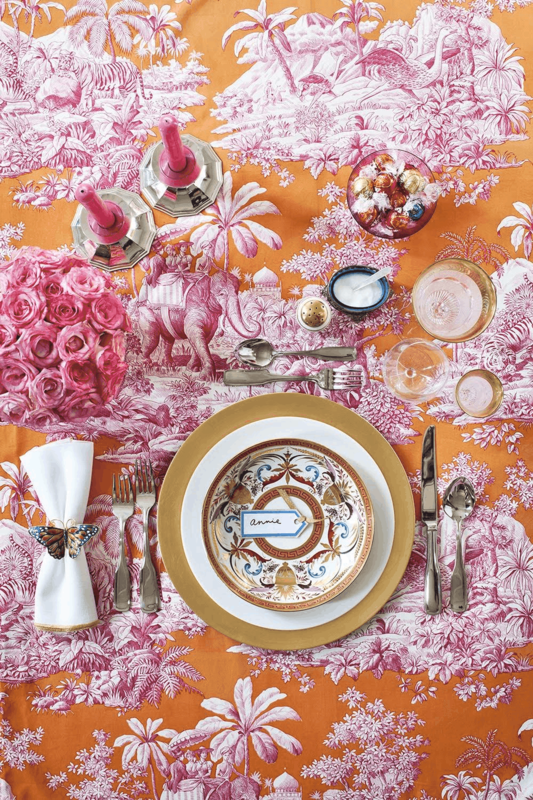 Create beautiful table décor these experts approved decorating ideas. 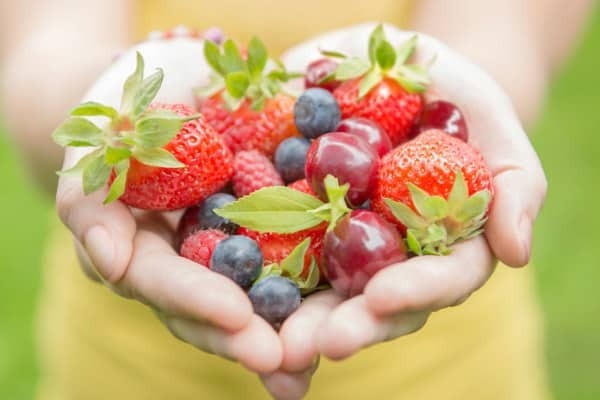 Not only do fruits and veggies taste best when they’re eaten in season, they’re often less expensive, too. Pay attention to what’s plentiful at the grocery store (heirloom tomatoes will overflow come summer, and be scarce in the winter, for example) and the deals that go along with it. If you’re able, head to the farmers market for the most local produce. Whether you’re swimming in just-picked berries or have leftover chicken bones or veggie scraps for stock, chances are it belongs in the freezer. A well-stocked freezer means less waste, and ensures you’ve got healthy ingredients at the ready. In addition to leftovers, keep frozen veggies on-hand, too. In many cases they’re more nutritious than fresh. Buying grains, nuts, and seeds in larger quantities will keep the cost down (you can find bulk bins at Whole Foods, co-ops, and other natural food stores). If properly stored (whole wheat flours and nuts are best kept in the freezer), they last a long time and are staples of a healthy diet. Instead of buying chicken breast for dinner, cold cuts for lunch, and cans of soup for the cupboard—which could cost upwards of $20—purchase a whole chicken for about $8, and you’ll get all those meals and then some. You know the tried-and-true advice for getting better sleep: Limit before-bed screen time, skip afternoon caffeine, stick to a schedule. It’s all effective, but only to a point—because your bedroom environment may actually be sabotaging your shut-eye. “The bedroom is becoming less of a sanctuary for sleep and more of a second living room, office, and kitchen,” says James Wyatt, PhD, director of the Section of Sleep Disorders and Sleep-Wake Research at Rush University Medical Center in Chicago. And try as you might, it’s really hard to get decent sleep in Grand Central Terminal. So we tapped experts for advice on setting up a bedroom that promotes deep, restorative sleep and looks gorgeous, too. You’ll see those ideas in action in these three inspiring rooms. Nighty night. Upholstered headboards help muffle sleep-interrupting sounds. Interior designer Paige Schnell suggests using low-maintenance fabrics, like distressed leather or the easy-to-clean tweed options by Sunbrella. Limit the mash-up of patterns in your bedroom by maxing out at two shams and one oversize lumbar pillow, says Schnell. Place a bench at the foot of your bed to catch those cushions at night, rather than tossing them on the potentially dusty floor. Opt for soothing abstract pieces or landscapes, and avoid anything too contrasting or dramatic. To buy: Paint: Solitude by Benjamin Moore (AF-545); benjaminmoore.com for info. Anemone by Denise Wong (framed art), $237; minted.com. Lula white and brass gourd table lamp, $70; lampsplus.com. Hampshire white nightstand, $299; landofnod.com. Herringbone indigo woven cotton rug, $588 (9 by 12 ft.); annieselke.com. Harbour bench, $898; serenaandlily.com. The Soft White Pleated bed skirt, $89 (queen); craneandcanopy.com. Butterfield duvet in ocean, $498 (queen), and standard sham, $144; matouk.com. Oscar/Oliver Theodora bolster throw pillow, $70; bedbathandbeyond.com. Tamsen Curve upholstered headboard, $1,149 (queen); potterybarn.com. The Real Sleep by Real Simple mattress, $995 (queen); realsleep.com. The Leesa bed frame; $125 (queen); leesa.com. 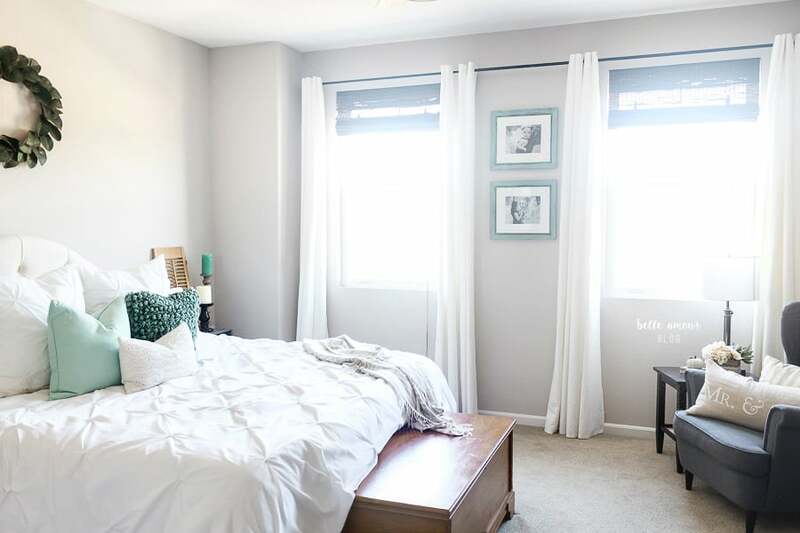 “The darker your bedroom is, the easier it can be to fall asleep, and the better your sleep quality will be,” says Wyatt. The light from a street lamp or the glow from a neighbor’s TV still filters through your closed eyelids. And exposure to light, even if it’s dim, can interfere with the secretion of the sleep-inducing hormone melatonin and your body’s internal clock. These clutter zones can feel like a to-do list, and the resulting distraction makes it harder to sleep. Schnell recommends side tables that have at least one shelf (to stash a book or magazine) as well as one drawer or cabinet (to keep papers and personal items out of sight). Edit down the top of the table to a lamp, alarm clock, glass of water, and feel-good photo. “Placing our bed against a wall where we have a clear view of the door and, if it’s feasible, the window can make us feel safer and alleviate worry that prevents complete relaxation,” says design psychologist Sally Augustin, PhD. Avoid backing your bed up against a window; drafts or blaring sun might disturb your slumber. Define your sleep zone with the help of a soft area rug, suggests Augustin. It lends a cozy feel to the space, provides a warm landing pad for your feet, and helps buffer noise while you’re asleep. Opt for plush fibers—like soft wool or a wool blend—for maximum comfort. Keep your device on sleep mode overnight and stash it out of sight in the nightstand drawer. To buy: Paint: Magnolia Home in Ella Rose, from $42 per gallon; shop.magnoliamarket.com. Cotton Luster Velvet blackout curtain in platinum, $139 (96 in. ); westelm.com. Vienna full-spectrum modern crystal column table lamp, $150; lampsplus.com. Parada upholstered panel headboard in beige, $270 (queen); wayfair.com. Mums hemstichedSupima percale sheet set in aqua mist, $178 (queen); garnethill.com. Fossil embroidered ivory decorative pillow, $116; annieselke.com. Jadeite velvet throw pillow, $10; worldmarket.com. Shelly round velvet pillow, $39; urbanoutfitters.com. The Valencia Porcelain Green pintuck duvet cover, $139 (queen); craneandcanopy.com. Forest Floor gray rug, $399 (5 by 8 ft.); landofnod.com. Celine Collection nightstand, $350; pier1.com. According to believers in fengshui, a raised bed frame allows energy to easily flow underneath you, which leads to deeper slumber. Laura Benko, a fengshui expert in Brooklyn, New York, says that storing clutter in the space beneath your bed blocks that energy flow. Instead of using bold patterns or colors, add personality by mixing up textures (like a chunky knit throw and embroidered pillows) in calming neutrals. Organic materials elicit a sense of calm, so incorporate branches, plants, or fresh flowers into your space. To buy: Paint: Emerald Interior in Gossamer Veil (SW 9165); sherwin-williams.com for info. Durango bed set with rails, $529 (queen); houzz.com. Wyatt sconce, $219; cedarandmoss.com. Emmerson reclaimed wood nightstand, $349; westelm.com. Venus hand-knotted wool viscose rug, $1,048 (5 by 8 ft.), and Trimaran stripe indoor/outdoor Wouf dog bed, from $98; annieselke.com. Scattered embroidered linen duvet cover, $498 (full/queen); coyuchi.com. Nublado throw, $395; the-citizenry.com. Bridge Street Siena oblong throw pillow in marshmallow, $40; bedbathandbeyond.com. Falling Leaves pillow, $229; rebeccaatwood.com. Randa indoor/outdoor pillow in taupe, $79; luluandgeorgia.com. Classic Core sheet set in cream, $129 (queen); brooklinen.com. 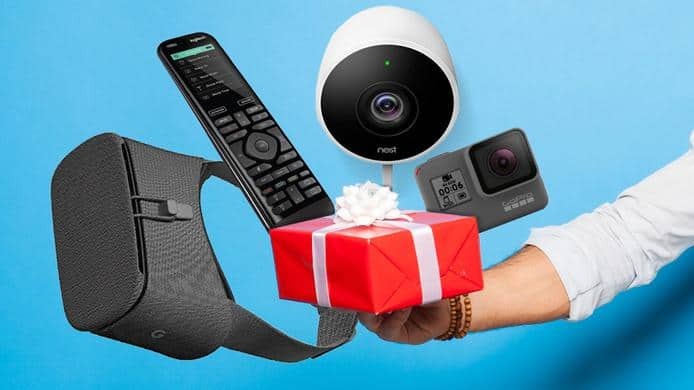 Looking to give a cool gadget gift to the number one guy or girl in your life? 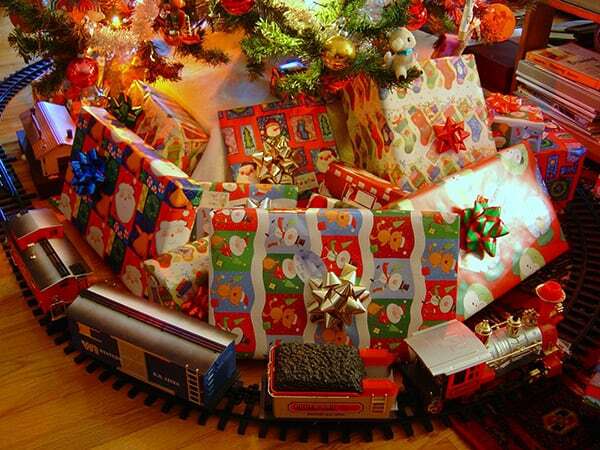 We’ve rounded up some of our favorite finds to help you take the guesswork out of gifting. Does your significant other love a cold glass of beer? Now you can have beer on tap in the comfort of your own home—this tool turns a can or bottle into draught beer in a matter of minutes. Have a forgetful friend? This high-tech tracker attaches to any keychain and connects to a smartphone using Bluetooth. The app can help them find misplaced keys or a wallet. Know someone who loves exercise and playing video games? This stationary bike uses virtual reality to immerse players in different game environments, making working out more entertaining than ever before. For the techie who also loves the great outdoors, these insoles turn sneakers into smart shoes. Track steps, calories burnt, and much more using the app. The battery lasts up to 15 days on a single charge, so don’t worry about them dying mid-hike. Give the gift of a green thumb this Valentine’s Day. With this indoor device, anyone can grow his or her own greens—great for some extra flavor and as a garnish atop your next meal. If you know someone who is always on the go, this is the suitcase they need for their next trip. With built-in charging capabilities, GPS tracking, and a scale, this carry-on does it all so you don’t have to worry on your getaway. Talk about a twofer: Not only are you giving her the classic fragrance with the name that sums it all up, but the set also comes with a set of four small boxes of chocolates. The perfume comes in a 3.4-ounce bottle and features notes of rose, lily, white violet, and exotic woods. Valentine’s Day calls for roses everywhere, so why not in the shower too? This luxe bath and shower gel spotlights the timeless fragrance. 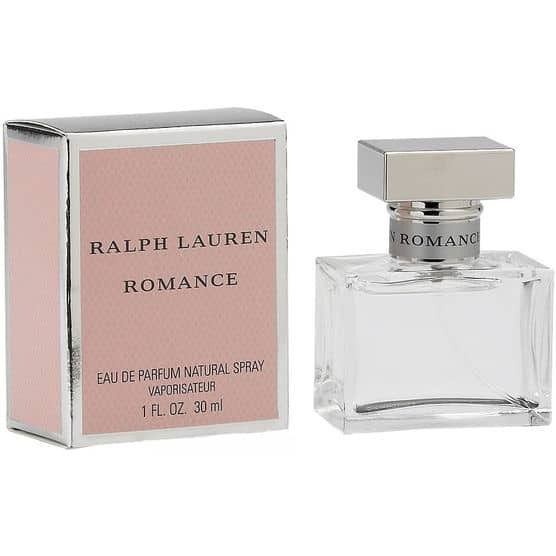 The blend of Italian rose oil, blackcurrant, geranium, and a base note of patchouli inspires romance. Forget the bouquet—beautiful British roses are grown on a farm in Herefordshire and used as the base of this rich body butter. It delivers a glow and hydration that sticks around for 24 hours. Even better, it contains fair trade shea and soybean oil from Ghana that does good for your skin and their local community. For the girl who loves the great outdoors, it doesn’t get much better than promising her a camping getaway and getting the al fresco weekend started by gifting her with this tent for two. It’s spacious when it’s pitched yet compact when it comes to storing it. So, Christmas is over, you’re bored. What on earth do you do with yourself?Spend that Christmas cash, of course. Well, assuming you did get wads of money for presents instead of Terry’s Chocolate Oranges like the rest of us. Something for the home. How often do we spend our money on clothing that gets ignored a month later, but hesitate on home purchases that last for years and longer? Two things that I spent money I stashed away on this year, were a lovely area rug and lamps from Pottery Barn. They made a huge difference in how my home felt and looked. They seriously upgraded everything. For the price of a coat, you can have a well-made lamp or rug. Think about how long you enjoy things you’ve bought for your home. Decades, sometimes right? On the subject of coats, a coat! This is the time to buy a quality coat that will last. I’m speaking of wool, and well-made. One of my Christmas gifts was this year was a J Crew classic coat that I had my eye on. I hadn’t bought a wool coat in about 5 years and there is no mistaking what a good coat can do for your wardrobe. So worth it. I suggest a classic color like navy, camel, or grey. Sounds boring, but honestly, you’ll use it and love it a lot more. Neons seem fun now, but maybe not in 3 years, and a well-made coat lasts at least that long. Talking of clothes, a quality sweater is a wonderful thing to get now. Have you noticed the quality of sweaters has gone down, even from some of the nicer stores? I have. So many are wool or cashmere blends with synthetics. You can’t see the weave on these garments and they feel very soft when they are bought. Well, give them a few weeks and they look awful. I’ve been nostalgic for the sweaters of the past with quality weaves and durability. Some of these old sweaters are still stalwarts of my closet. I’ve been shopping around and one of the companies that is still making some quality sweaters is Ralph Lauren of course. Yes, they are hovering around the $100+ mark, but right now, many are also on sale.. At Bloomingdales I found this one above. I’m loving the quality. Yes, it’s part wool. Look for sweaters with the smallest amount of synthetics and a quality weave. Something to upgrade your everyday living. Use your money on something you use daily. For me that was a new glass teapot. I’m loving it and for $21 and I wish I had bought one earlier. I used a chipped and cracked pot for 2 years now. Why? Don’t know. I love seeing when my tea is steeped, it does a better job, looks so much prettier and that makes me happy too. Other items that improve your everyday life could be a better coffee maker, a new travel coffee cup, a good toaster or even new sheets or cashmere socks. Anything you use each day is worth the pennies spent and raises your quality of life! A great cookbook. Now is the time to rethink your meal rotation. I know I’m dead bored of comfort food by this time and ready to eat lighter and healthier.I recommend and am inspired by The Kinfolk Table which has simple recipes for gatherings. I love the photos and ideas for getting together. For those of us who embrace winter’s icy winds and heavy snowfall, a ski vacation is the perfect getaway. The U.S. News ranking of the Best Ski Destinations in the USA weighs the most important considerations: accessibility, accommodations, acreage and annual snowfall, along with expert recommendations and readers’ top picks. You won’t find a hopping après scene here, but that’s not the point. Tucked at 9,000 feet in the Sangre de Cristo mountains of northern New Mexico, Taos Ski Valley is rugged and natural for the more adventurous inbounds skiers and boarders. You’ll have access to plenty of tame groomers over its 1,300 acres—though, more than 50 percent of the trails are rated to expert—but the draw here is the matrix of untouched bumps, rocks, and drops on unmatched hike-to terrain. That and the 300-plus days of New Mexico sunshine on top of 305 annual inches of snow. Trudge up to the Highline Ridge or 12,481-foot Kachina Peak for dozens of heart-hammering shots down steep chutes and over cornices. Telluride, which boasts an impressive lift-served 3,845-foot vertical drop, 125 trails (the longest is 4.6 miles,) and three terrain parks, caters to experts and beginners alike. The timid can ride lifts to the highest peaks and score views generally left to the more intrepid—Telluride sits among the highest concentration of 14ers in North America—who will drop big vert with a little off-piste hiking to 13,320-foot Palmyra Peak. You’ll carve dry snow on the west-facing San Juan slopes and, when the light fails, a soulful après in Mountain Village. America’s oldest ski resort—it’s in its 77th season—Sun Valley still manages to be a bit of a well-kept secret among locals. That means smaller crowds than big-name resorts and a pristine slope with more than 2,000 acres and a 3,400-foot drop at the edge of the Sawtooth National Forest. 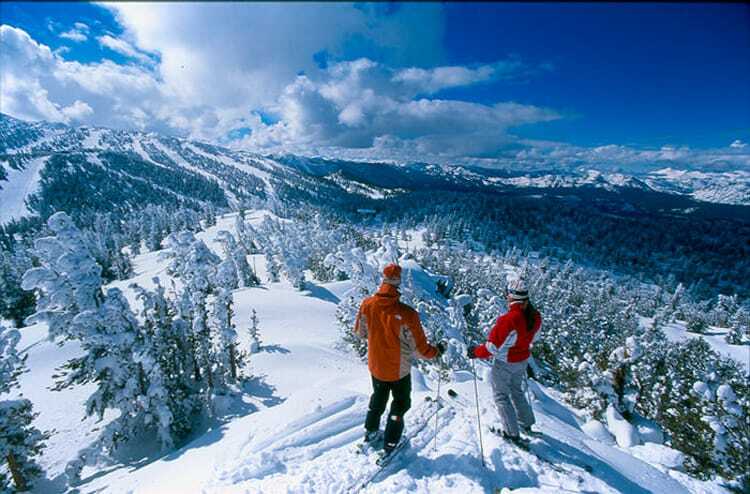 Plus, Sun Valley has some of the best resort Nordic trails in the country. The 220 inches of average snowfall is a tad scant, but friendly staff and superb on-mountain dining top most other resorts. Take the 56-car Roundhouse Gondola up to the fancy Roundhouse Restaurant on Bald Mountain’s summit for a Northwest lamb burger and long alpine views. Deer Valley, a skier-only resort, was an Olympic venue for the 2002 Winter Games, so you know it has cred, like 300 inches of snow in a typical year and 3,000 feet of vert. Plus, this season brings $8 million in improvements, like Mountaineer Express, a new high-speed quad lift, and expanded snowmaking capacity with low-energy guns. But Deer Valley is best known for its pampering luxury and fine dining, as well as its top-notch manicured grooming that will have you hurtling giddily down mountain. First, the stats: 350 annual inches of snow, 3,500 vertical feet, 31 lifts, and 193 trails on more than 5,000 acres. Much of Vail’s terrain is expert class, and the steep back bowls—Sun Up, Siberia, China—are legendary. Vail’s Ski and Snowboard school is also top notch with workshops in Nordic and telemark styles, and Adventure Sessions match skiers with an expert guide for a day on the mountain. Throw in scores of stellar restaurants in the village and environmental efforts in the form of solar panels and reduced water use, and there’s little—aside from solitude—Vail doesn’t offer. Forget the Game of Thrones warning about winter is coming, winter is here and it’s freaking cold. This is when we need to escape to warmer parts of the world. The only problem, it’s hard to take a long vacation right after the holidays. Enter our winter travel savior: Mexico. With most able to reach its white sand beaches within four hours, Mexico is an ideal winter travel destination for those wanting a weekend getaway on the beach that won’t break your bank, unless you want to live the life of luxury. Long thought to be one of the most beautiful places in the world, Mexico is a travel gem among those that travel aboard. This is especially true during the winter when there are great travel deals. The nights are alive with fun and excitement in Mexico and the days are full of sun and fun with the many destinations that are available to those that wish to take part in some Mexico travel. Who could want for more when they see the overall excitement of the country that is Mexico and all that you can do in a short period. 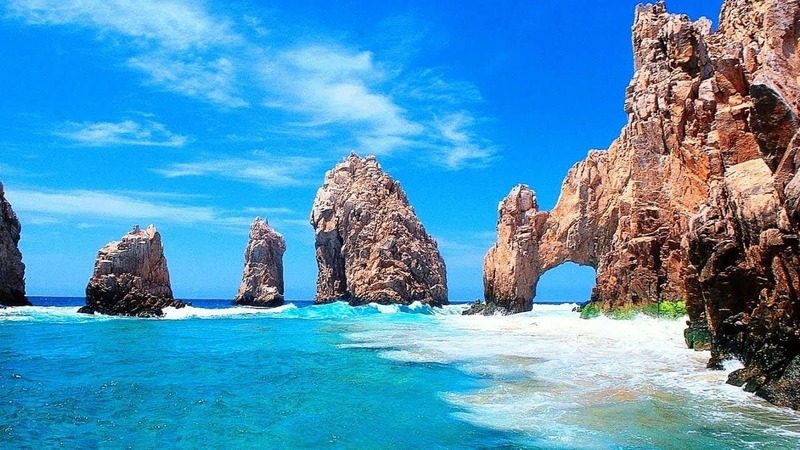 With flights only 3 hours away from Los Angeles and San Francisco, Cabo San Lucas is a perfect winter travel destination for those on the West Coast. Located at the southern tip of the Baja California Peninsula, this coastal area is picture-perfect for those who want a mixture of relaxation and adventure. And though it’s not Cancun, Cabo San Lucas has its own vibrant nightlife. An added bonus is that it’s not prone to hurricanes, making it a great travel destination during hurricane season to keep in mind. Acapulco is one of the best places when it comes to Mexico travel in the winter. Considered a destination for lovers; it is actually the number one travel destination for honeymoons in the world. It also tends to be affordable making it a good option for couples and those on a budget. If you are looking to have a wild time or simply unwind on the beach while sipping on a delicious cocktail, Cancun is your Mexico travel spot. A major player in the tourism industry, Cancun has been plagued by some big business in the recent years and it has lost a bit of its old world charm. This has done nothing to dissuade the thousands that come here every year. Be careful to plan for the hurricane season though, there is little that can be done when one strikes. An island off of Mexico’s eastern coast in the Caribbean Sea, Cozumel is a place that many people have ignored over the years and that’s a good thing for those that travel there. A nice mix of culture and relaxation makes this a great Mexico travel destination this winter. There are several Mayan ruins for those interested in exploring the Yucatan Peninsula. If that’s not your thing, don’t worry, as the beaches are worthy of a trip to Cozumel on their own. 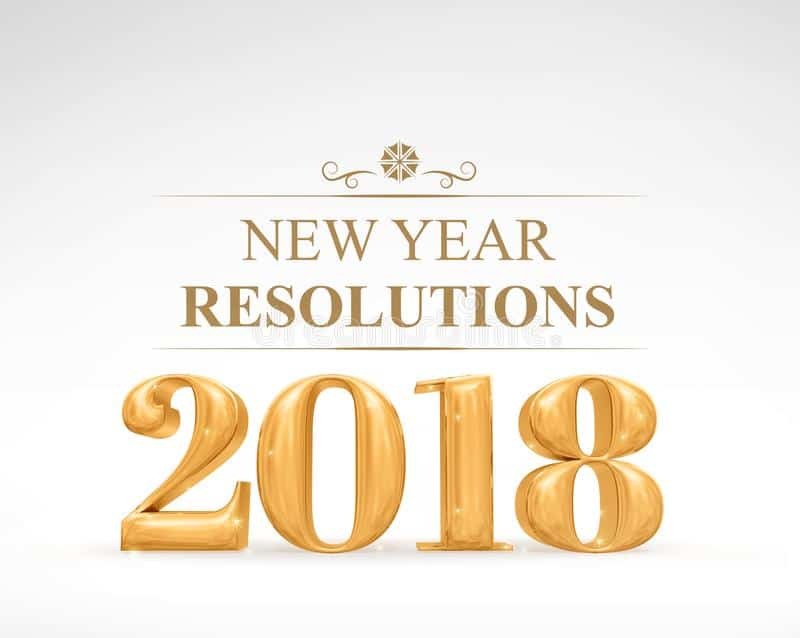 With January comes the opportunity to start afresh, and people around the world resolve to change something in their lives for the better. These Things that are not only doable but also enjoyable and will eventually become so second-nature, you’ll forget they were resolutions. The best part? Each contributes to a happier life and a healthier you..
Meet new people: When we get stuck in a rut, we usually end up staying at home most of the time, missing out on a lot of interesting opportunities for networking and having fun. Meeting new people can be beneficial to your mental well-being and help your career, so don’t be afraid to get out there and make some friends. Overcome your shyness, get some knowledge and go and get to know new and interesting people. Become more active: Some people don’t really have a big weight problem, and they even get some exercise a few times a week, but they just sit around the most of the time at home and at work, which can have a negative effect on their posture and health. In that case, all you need is to find ways of moving around more throughout the day instead of staying hunched over the computer. It’s even more fun if you share your activity with friends and family. Earn more money: Even billionaires are always looking for ways to earn more money, and we common folk can definitely use an additional source of income to make life a bit more comfortable. Fortunately, there are plenty of options available, like having side jobs, working as a freelancer or using the internet to your advantage. Stop procrastinating: The biggest barrier that keeps most people from reaching their goals is the desire to relax and do something fun instead of working hard. Once you get used to procrastinating it’s difficult to snap yourself out of it, so you’ll need to put in a lot of work to change this bad habit. There are many useful tips out there to find your way to stop procrastinating. There are also tools which can help you achieve this task. Get more quality sleep: With big TV’s, computers, smartphones, tablets and all sorts of gadgets with glowing lights and beeping alerts, it can be hard to get enough sleep at night. You should be gunning for at least 8 hours of sleep a night, and there are fairly simple ways to achieve this number if you make use of science and everyday hacks.